Hailey Baldwin Looks Pretty on Solo Outing in NYC | Hailey Baldwin | Just Jared Jr.
Hailey Baldwin steps out still sporting wet hair while going makeup-free as she steps out for a coffee run on Thursday morning (August 9) in New York City. The 21-year-old model looked pretty in a little white dress and white sneakers as she stepped out for a quick solo outing before continuing on her with day. 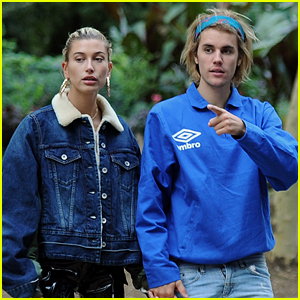 The afternoon before, Hailey stepped out with fiance Justin Bieber as he cleaned up with his hair with a little trim! ICYMI, Justin recently addressed the photos the paparazzi caught of him crying with Hailey.